Building a Log Home: Skill and Quality Make the Difference! Early pioneer log homes in Canada and the United States were built from the timber available as quickly as possible to provide shelter from the changing seasons. Some log cabins were rough and primitive but some were tight and solid. Certain European settlers brought excellent log home building skills with them when they arrived in North America. Their weatherproof log houses were masterpieces and many of them are still admired today. Superior log building methods stand the test of time! 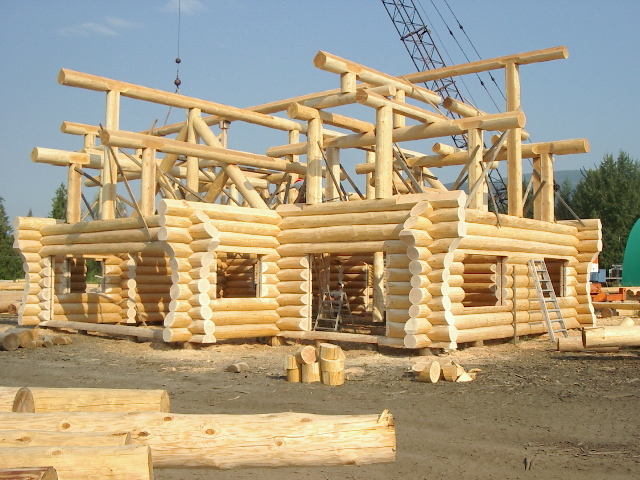 At North American Log Crafters we practice the best of these log building techniques, fine-tuned for modern energy standards and local engineering requirements. Using tried and true methods, we have been building log homes and cabins for clients who demand excellence for over 40 years. Each of our master builders has 20 years’ experience (or more) handcrafting log homes! North American Log Crafters builds each cedar log cabin home or Douglas Fir custom log home with premium logs selected carefully for your log house. Straight grained and strong, each log is hand crafted through every stage of construction to keep its natural size and shape. After choosing the right wood species and correct size logs for your design and location, the best logs in Western Canada will be handcrafted in the time-tested Scandinavian full scribe method of log building. Logs are hand-peeled with a draw-knife. With the wood grain exposed and the special character of the log revealed, the decision is made where it will be used in the construction of the log home. The massive log is lifted by a crane into place while the contour of one log is marked on the next (scribed). The log is moved onto blocks at the cutting station where a groove along its length is cut by hand with a chain saw. Corners are notched to fit this way as well. Steady hands, strong arms and years of practice are required to make the accurate cuts and tight connections achieved by experienced log builders. Every notch is hand-sanded to perfection and the log is lifted back into place on the wall where it fits neatly. The windows and door openings are cut and flared as desired with the grooves necessary to accept custom window and doors. A final sanding polishes the finished openings and log ends. When the log walls are complete, the roof system is pieced together and erected using traditional joinery techniques and reinforced as required. The craftsmanship will be displayed in every corner of your custom log home where fine timber and workmanship create a structure of real rugged luxury. Woodcraft is open to many interpretations so the details of a log home give you a chance to make an impression. Log ends, log trusses and log posts can be styled creatively for truly functional art. When the log shell is complete every log end will be tagged and numbered before it is taken apart and placed on trucks or in containers for shipment to your home site. You’ll love the reassembly stage when each labelled log is re-constructed on your property because it only takes a few days. 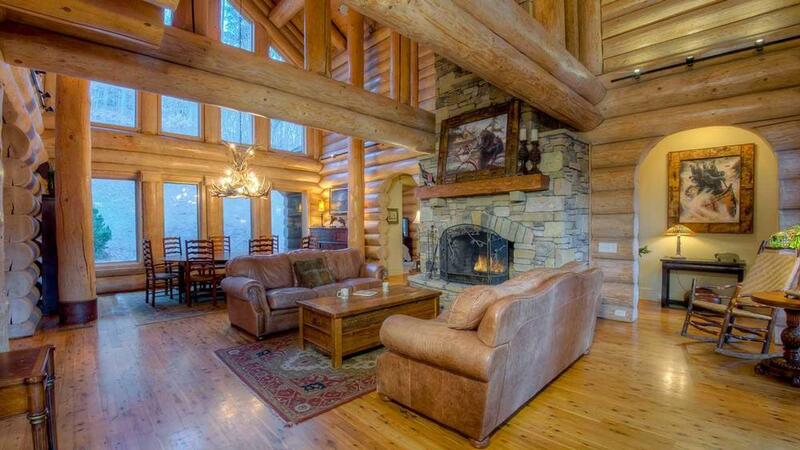 After this, your contractor will schedule the trades to finish your log home. You’ll choose the perfect piece of land for your log house: our world-wide shipping doesn’t limit your options! 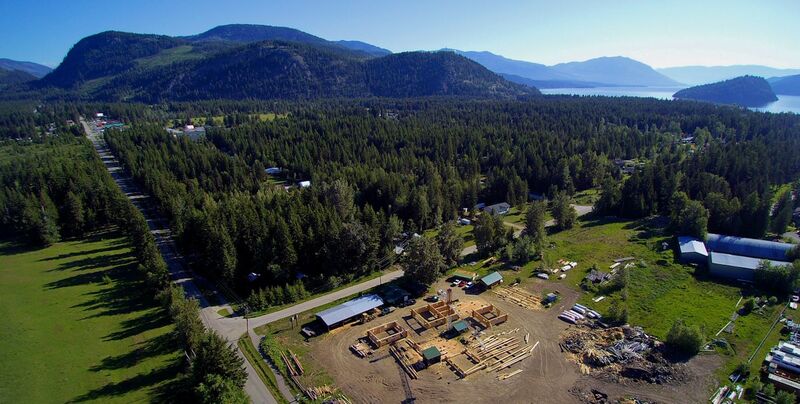 But regardless of where it spends the next hundred years or so, a custom log home from North American Log Crafters will begin on our log building site in the beautiful southern interior of British Columbia. Our central yard is on the corner of two roads that lead to the beach, an acreage nestled between Captain’s Village Marina and local farmland. People love to watch the log builders at work while enjoying a walk from summer cabins to restaurants, shops and sandy beaches overlooking the iconic Copper Island. Carrying on the tradition of quality hand craftsmanship, North American Log Crafters continues to deliver excellence in international log building. Contact us for friendly Canadian service and the log cabin home of your dreams!